Blockade: Turnout low. Few truckers present. A20 briefly blocked. 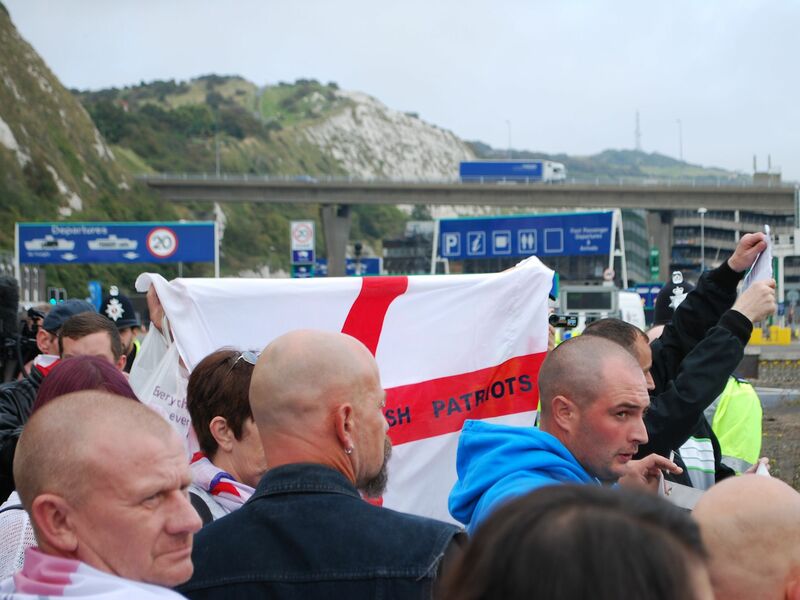 Dover was thronging with people Saturday lunchtime but few of them were there for the ‘Dover Blockade’. Police were very visible around the town. Within minutes of parking in the shadow of the County Hotel @DriveEurope was approached by two officers wanting to know if were involved with the demonstration. There were few if any signs of protestors by that point they said. The meeting place in the west of Dover indicated by the organisers was also deserted. Meanwhile the Eastern docks area was also quiet save for media, police and some locals who had turned up in support. Twenty minutes after the advertised start of the blockade a group of protestors – estimates varied from 30 to 60 – marched down the A20 towards Eastern Docks and came to halt at the entrance to the roundabout. There was no obvious sign of a trucker contingent and certainly no vehicles involved. Johnny English, from Blackburn, admitted the turnout was disappointing. He was also clearly annoyed the event had been written off by the media as a far-right demonstration. After blocking the entrance to the roundabout for around thirty minutes the protestors were asked to move on by police. After a brief attempt at a sit-in, they moved off peacefully around the roundabout and back down the A20 towards the town centre. For more on the Calais Migrant Crisis see here.